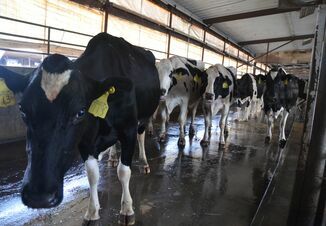 Wisconsin, with the highest number of dairy farms and herd sizes that best fit the dairy Margin Protection Program (MPP), leads the country in the amount of MPP payments it has received in 2018. Wisconsin farmers received $36,794,124 to date, according to USDA’s Farm Service Agency which posted a list of state-by-state payments today. That $36 million payment represents just under 24% of the total of $155,264,926 USDA has distributed thus far. The payment list is current as of 8 a.m., July 11, 2018. New York came in second, with payments of $15,397,861, followed closely by Minnesota, with payments of $15,085,305. Pennsylvania farmers received $13,085,041. 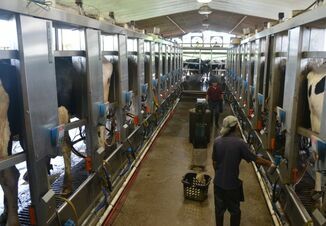 California, the number one milk producing state in the nation, received $7,078,760. The reason it didn’t receive more is because herds in California are much larger than the national average, and fewer qualify for Tier 1 coverage on the first 5 million pounds of milk production. Based on current futures markets for feed and milk, it appears more indemnity payments are on the way. As of today, it appears a June indemnity of more than $2/cwt is likely, and a 50¢/cwt indemnity is possible in July. After that, margins have recovered sufficiently above $8 so that indemnities would no longer be triggered for the rest of the year.